FDA regulations may cause AED manufactures to undergo more stringent premarket approval processes due to reported failures and recalls. AED.com suggests program to ensure AED readiness. An AED is going to do what an AED is designed to do. Where AEDs fail are the people. The FDA proposed that the seven manufacturers of AEDs or automated external defibrillators need more stringent pre-market approval processes for any AED they manufacture. This proposal does not entertain the idea of mass recalls of automated external defibrillators. Dr. William Maisel of the FDA did not question the safety or quality of the estimated 2.4 million publicly assessable AEDs. 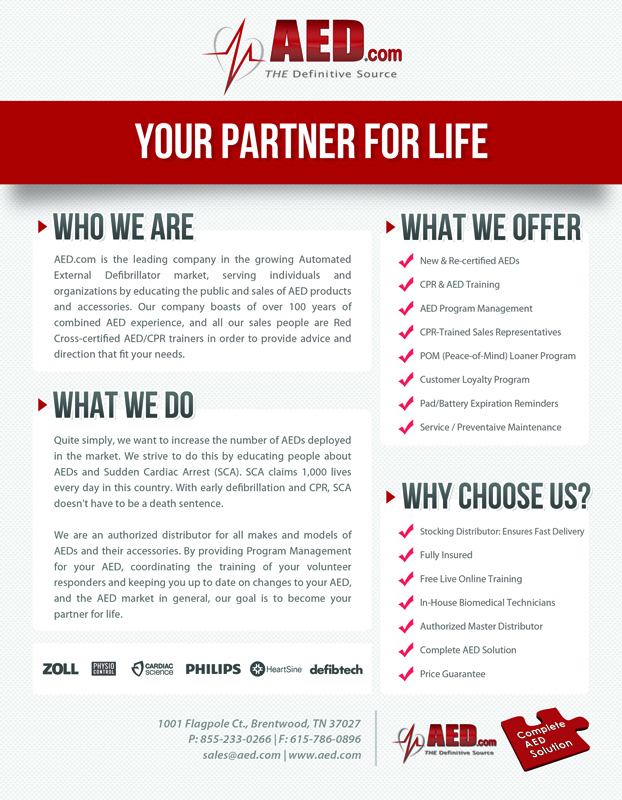 AED.com serves customers in all 50 States and 35 countries worldwide. For more information about AED.com, please visit: http://www.aed.com/en-pro.